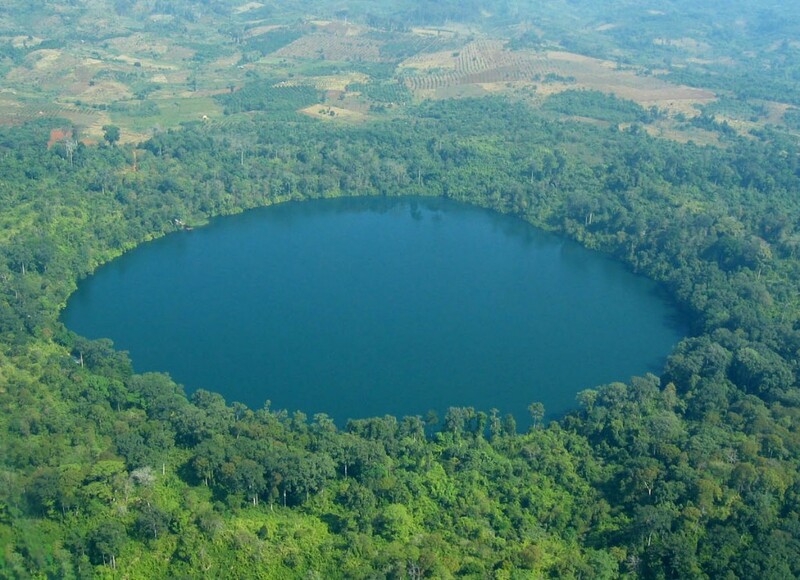 Yeak Loam (Khmer, [jeaʔ laom]), also spelled Yak Lom or Yak Loum, is a lake and a popular tourist destination in the Ratanakiri province of north-eastern Cambodia. Located approximately 3 mi (4.8 km) from the provincial capital, Banlung, the beautiful lake occupies a 4,000-year-old volcanic crater. Due to the lake’s tremendous depth 48 m (157 ft), its water is exceptionally clean and clear. The lake is almost perfectly round and measures 0.72 km (0.45 mi) in diameter. 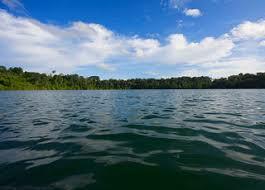 Large trees and rich, lush rain forest, the home of many exotic birds and parrots, surround the lake.